This living room was part of a full renovation. The client wanted something sophisticated yet relaxed as they have pets and children. 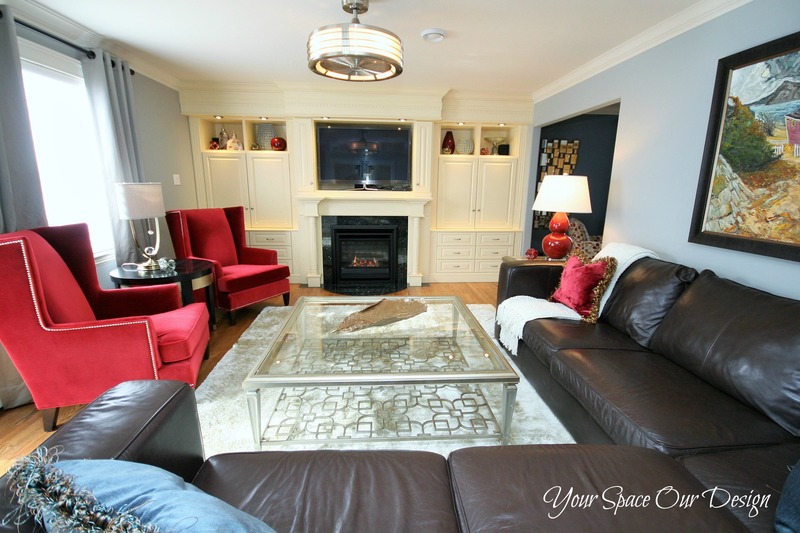 We chose 2 polyester fabric red chairs for a pop of color and paired this with the existing leather sectional. An oversized glass coffee table, soft shag rug and the perfect lamps and art, make this room fabulous!